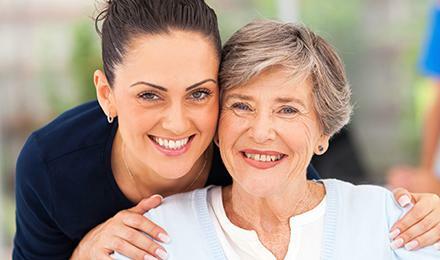 Vacation/Holiday Care Services | Full Circle Home Care Inc.
Family vacations and holidays are typically a joyful time spent with our loved ones. However, if you are caring for an aging parent, relative or other loved one, the season can quickly turn into a time of emotional stress and physical exhaustion. If this sounds like your situation, the best gift for everyone involved may be holiday home care services from Full Circle Home Care to help care for your loved one in their home, providing you and your entire family the time and energy to prepare, experience and enjoy the holidays. You’ll have the peace of mind knowing your loved one is receiving compassionate, professional care and your parent or relative won’t feel like they’re being a burden to you and the family, as you all enjoy the holidays together. Full Circle Home Care Vacation/Holiday Home Care services provide your loved one with general supervision and assistance with personal care. They will help handling routine daily activities including light housekeeping, meal preparation and errand running for your loved one which allows you to balance your increased holiday, family and work commitments. The Full Circle Home Care caregiver will cheerfully help your loved one get in the holiday spirit by assisting with seasonal tasks such as addressing holiday cards, wrapping presents, packaging gifts for shipment and even lending a hand with holiday decorations. Transportation to and from holiday events can also be a part of the holiday home care services provided by your caregiver. The holidays are a great time to reconnect and many people take this time for an extended visit. If you have opened your home up to an aging parent or someone else that requires assistance, home care is a great option to balance the responsibilities of caregiving with the holiday time commitments. You can depend on quality care for your loved one and also assistance in your home with light housekeeping, errands, meal preparation and even post party clean up. Full Circle Home Care caregivers can be in your home for a few hours a day or around the clock, and fit in just like they’re part of the family.